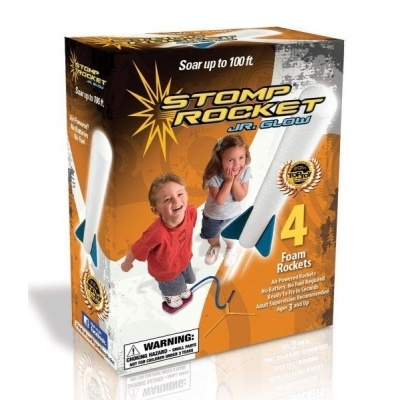 A soft foam version of the Super Stomp Rocket, ideal for smaller children and for use in confined areas even indoors. can travel 100 feet but also can be stomped by the littlest feet. 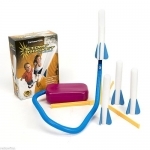 There's no need for batteries or fuel and as the whole set is nice and portable you can take it to the park, beach or anywhere else that grabs your fancy. Just watch out for low-flying aircraft and remember to look up after the launch. 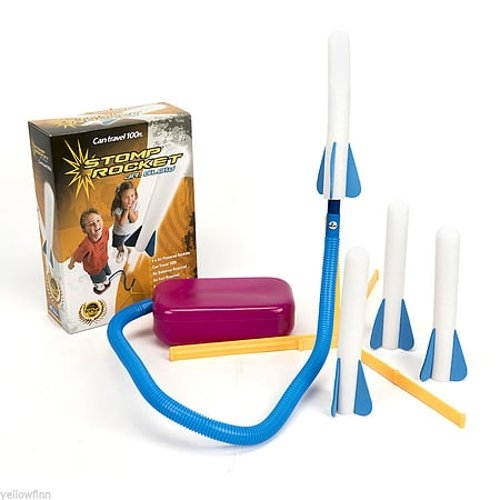 After all, what goes up may soon come down right on top of your head! 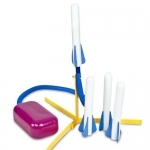 The set includes: launch pad, air hose, stand and 4 foam rockets.